1. We're always learning new things. Our optometrists keep up-to-date with advances in eye care and technology. This means manufacturers often give us new products for you to try before they become available elsewhere. 3. We have a laboratory on site which means rapid repairs and a quicker turnaround time. We can't always make new spectacles on the same day but it is possible for simple prescriptions. 4. We're independent. This means we can recommend any product we think best for you without being restricted or pressured by a 'head office'. This means the products we stock are those we really believe in. 7. 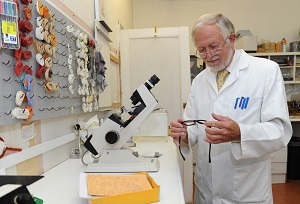 We make time for you: long examination times and eyewear consultations, time for you to ask questions. 8. We have a good relationship with the local hospital eye consultants, both NHS and private.